Just days before her tenth birthday, Natalia Ruiz underwent a complete leg amputation to remove pervasive cancer growth. Her recovery from the amputation was complicated by a massive infection. 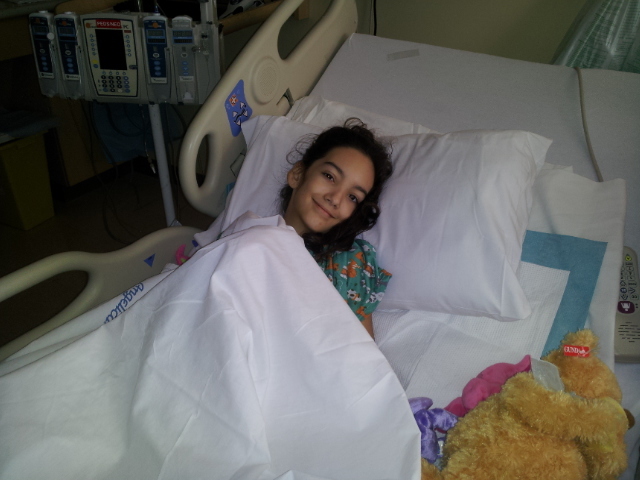 It all started in May 2013 when Natalia broke her femur. The break appeared to heal normally but the following year, her leg began swelling and Natalia was in considerable pain. A biopsy revealed that she had Osteosarcoma. The Ruiz family has no steady income at this time. They have borrowed money from a pension to support themselves during this crisis. Sweet Natalia is incredibly compassionate and giving. A few years ago, she donated bone marrow to her younger brother, Daniel, after he was diagnosed with Aplastic Anemia.